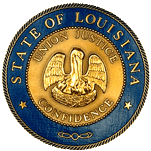 Fiscal Notes are located on the Louisiana Legislature Website. Use the search to find the bill under the appropriate session and click the Notes link. "Focus on the Fisc" is an interim LFO publication that provides succinct factual information on many of the fiscal issues facing the state. Our Fiscal Highlights are a summary of fiscal actions taken during session as well as a computation of historical fiscal data. The Comparative Data Report on Medicaid includes statistical tables and a summary of key findings based upon questionnaires distributed to each member state in the Southern Legislative Conference. The Adult Correctional Systems Survey includes statistical tables and a summary of key findings based upon questionnaires distributed to each member state in the Southern Legislative Conference.